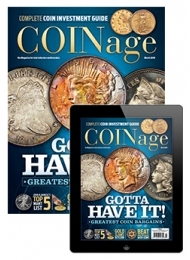 Must have for the experienced and novice coin collectors. Historical pieces about the people, places and events associated with COINage. Insights from the hobby’s leading authorities. All the issues will be delivered polybagged if you opt for 1, 2 or 3-year Polybag subscription. 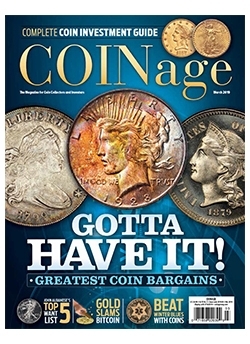 Since 1964, COINage has been a leading name in numismatic publications. We offer a fresh perspective of numismatics for the experienced coin collector and an introduction to key concepts for the novice. Our goal is to provide informative and entertaining articles for these audiences and to attract new people to the hobby. 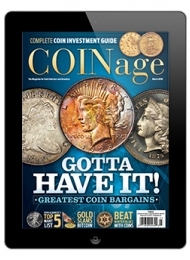 And now you can read COINage online—without any special downloads or software. The digital magazine is exactly the same as the print version, but it reduces our carbon footprint. Every issue features live links and gives you permanent access to your electronic back issues and the freedom to print only what you need.